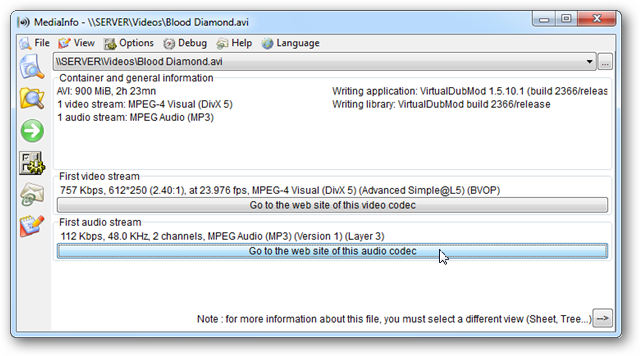 Have you ever wanted to play an audio or video file but didn’t have the proper codec installed? Today we’ll show how to determine codecs, along with a host of other technical details about your media files with MediaInfo. Download and install MediaInfo. You can find the download link at the bottom of the page. 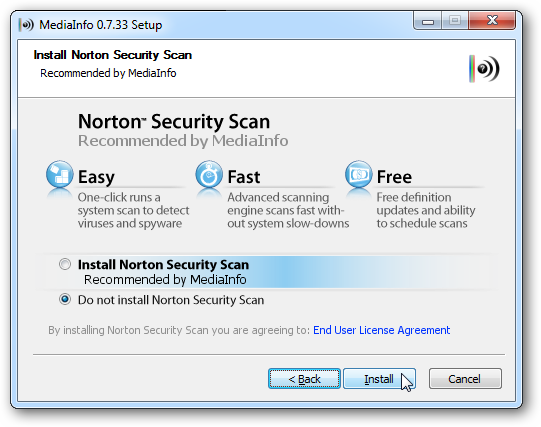 Note: When installing MediaInfo there is a recommended software bundle which you can opt out of by selecting Do not install option. 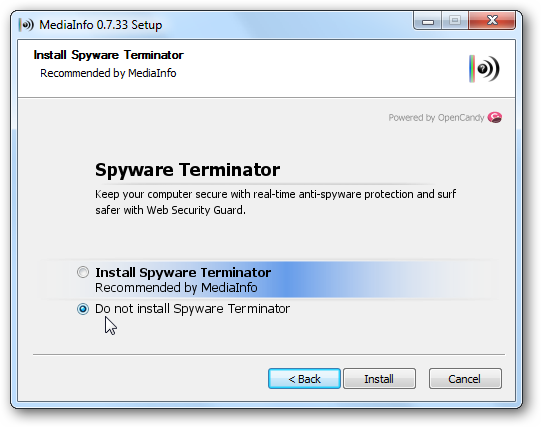 Each recommended software choice may be different, like in this example it offers Spyware Terminator. The cool thing though is they use Open Candy which opts you out of the install. Just double check to make sure you’re not installing extra crapware. The first time you run MediaInfo it will display the Preferences window. There are various option such as language, output format, and whether or not you want MediaInfo to check for new versions. Click OK. Select a file or folder to analyze by clicking on the File or Folder icons on the left of the application window or by selecting File > Open from the menu. You can also drag and drop a file directly onto the application. 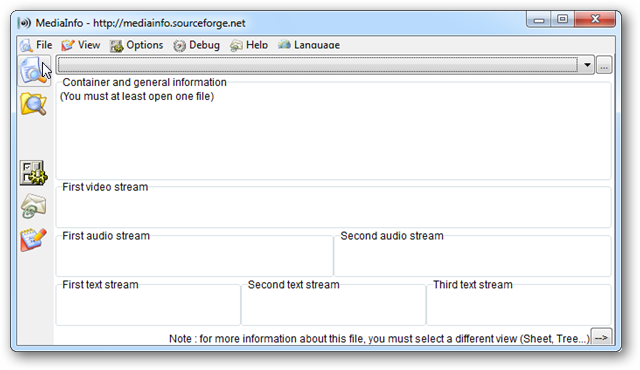 MediaInfo will display details of your media file. In Basic view, you’ll see basic information. 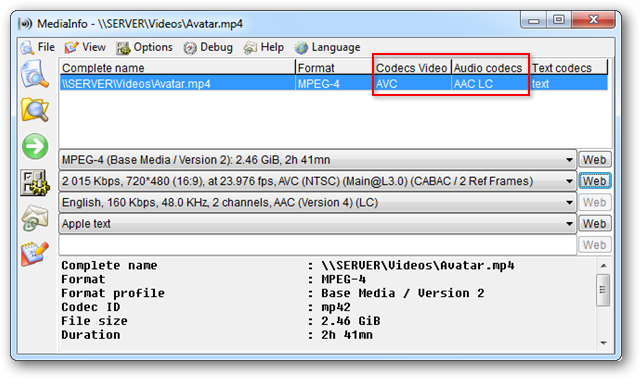 Notice in the example below the video and audio codecs, along with file size, running time of the media file, and even the application used to create the video file (Writing application). You can switch to some of the other views by selecting View from the Menu and choosing form the dropdown list. Tree View is perhaps the most detailed. 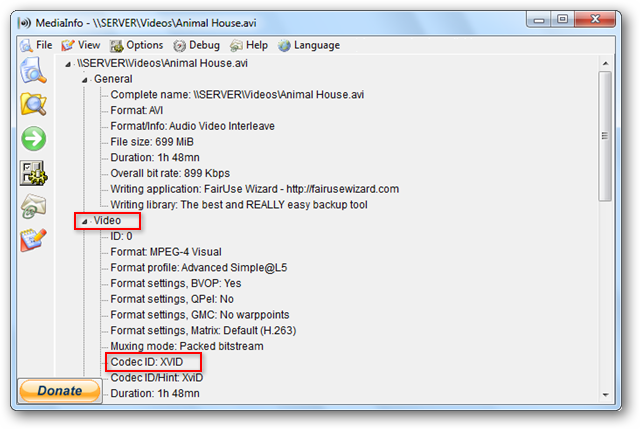 You can see from the example below the codec used for this AVI file is XviD. Scrolling down even further you’ll see additional information like video and audio bit rates, frame rate, aspect ratio, and more. In Basic View (and also in Sheet view) you can click to find a player for your file. In this instance with an MP4 file, it took me to the download page for Quicktime. This is by no means the only media player for this file, but if you are stuck for how to play a media file, this will forward you to a solution that works. You can do the same thing with Video codec. 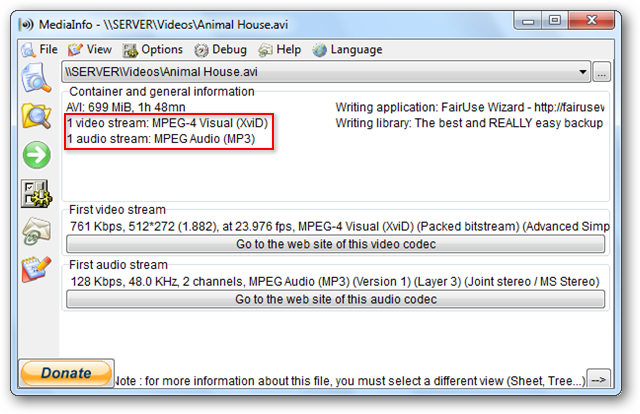 Click Go to the web site of this video codec to find a download. 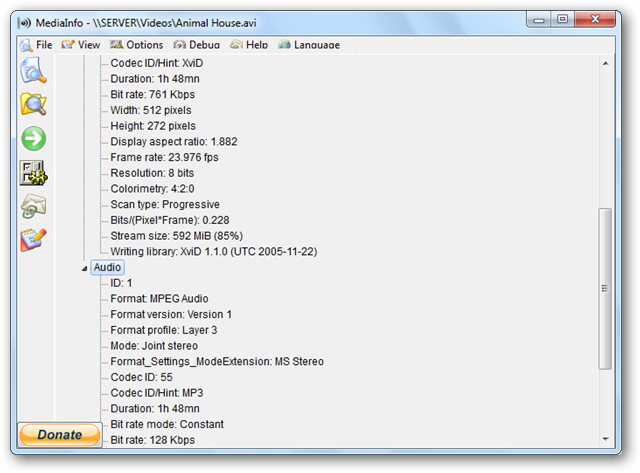 MediaInfo is a simple but powerful tool that can be used to discover the details of a media file, or just to find a compatible codec. 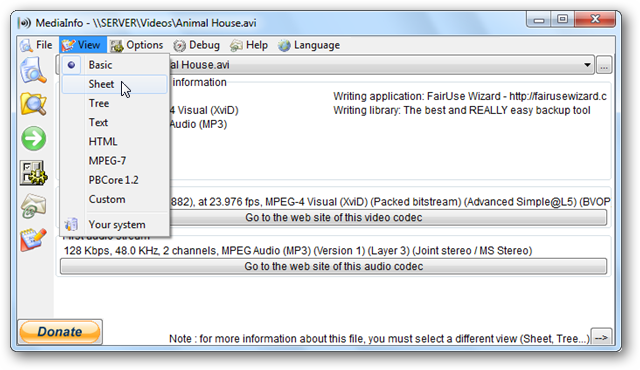 It works with most any video file type and is available for Windows, Mac, and Linux. Some Mac and Linux versions, however, are currently command line only.